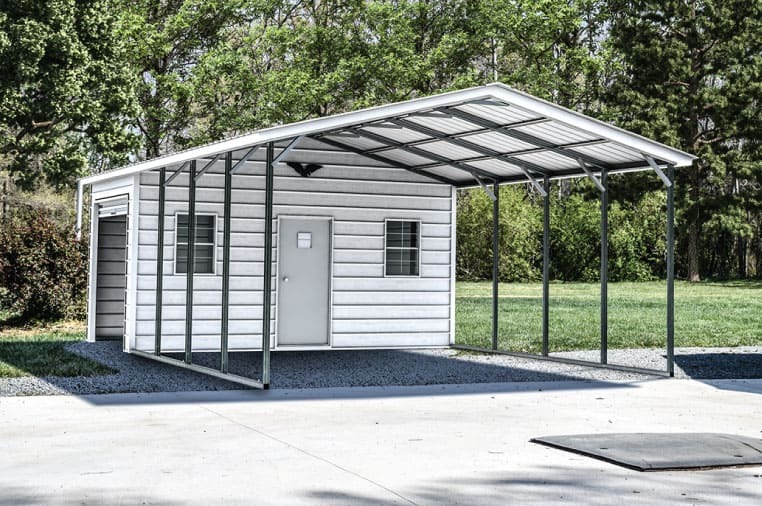 You can trust a metal carport to provide years of reliable service, whether you need it for storing animal feed, protecting your vehicle from hail damage, or any other purpose. Metal carports in Pennsylvania are exposed to plenty of environmental hazards, especially over the long winters. 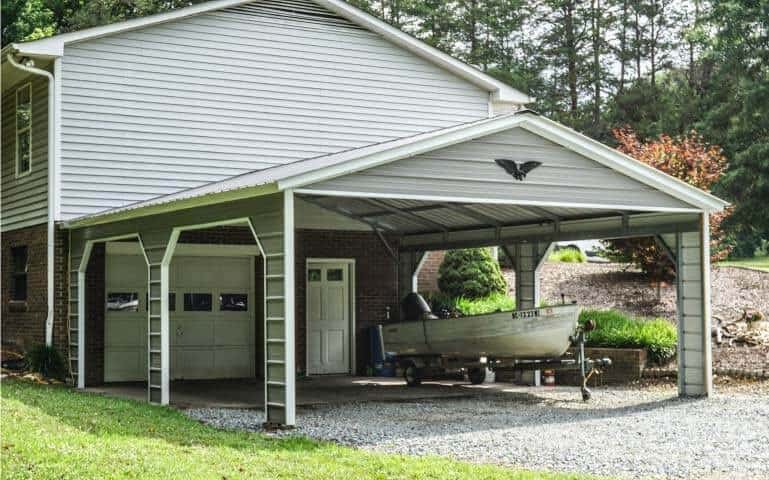 We can design your metal carport to withstand practically anything Mother Nature can throw at it in PA.
See what models of Pennsylvania metal carports we currently offer by scrolling to the bottom of the page. Winter in Pennsylvania, especially in the northern part of the state, usually brings low temperatures and plenty of snow. Metal buildings can withstand freezing temperatures and heavy loads, making them the ideal choice for PA carports. Summers in much of the state are long, humid, and full of storms with high wind and hail. Factory finish coatings prevent rust from the high humidity and thick galvanized steel panels keep hail and falling tree branches away from your car or truck. 1. We’ve been in the metal carport and metal building industry for over 80 years. 2. Each staff member is trained to provide support and service throughout the entire process. 3. Every carport comes with free delivery and installation. In addition to accepting upfront payment on all of our carports in Pennsylvania, we also have plenty of options for financing your purchase instead. Set up a traditional monthly payment arrangement with a low down payment or try a rent-to-own contract. Chat with one of our sales representatives to find out what’s available in your area.